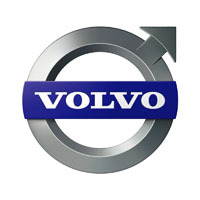 Volvo continually strives to improve their engineering, design and safety features, and our tailored car mats bring all those attributes to your vehicle. Made of high quality materials, with 3mm or 5mm thick rubber providing a solid base, they are cut to the original Volvo templates and supplied with all the necessary fixings for a precise and secure fit. Manufactured and hand finished in the UK to the highest standards, they are waterproof, fire retardant and covered by the manufacturer’s warranty. Customisable too, with a range of colours available and options for a contrasting edge trim in your choice of material and the ability to add your own text or logo, our tailored car mats can be personalised to your own exact taste.